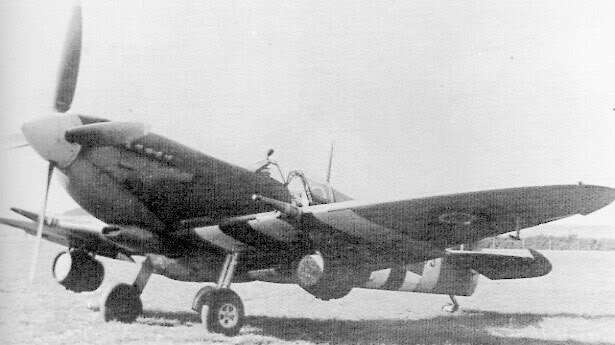 The Spitfire Mk IX was an evolved version of the Spitfire, with pylons under the wings for bombs or tanks. 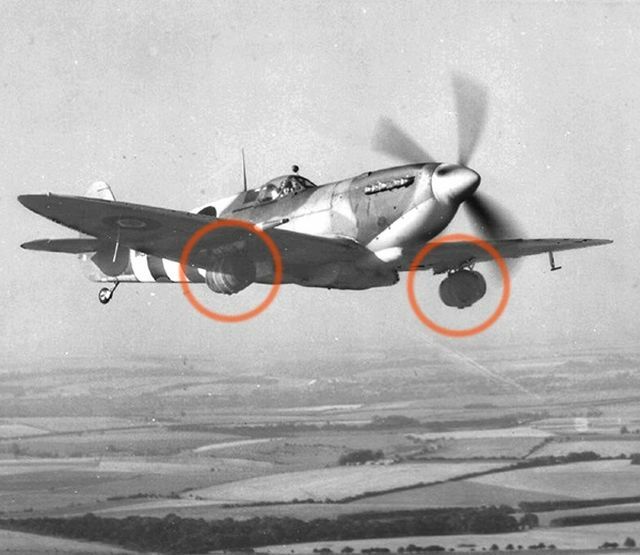 It was discovered that the bomb pylons could also be modified to carry beer kegs. 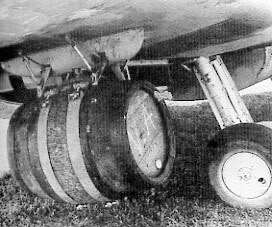 According to pictures that can be found, various sizes of kegs were used. Whether the kegs could be jettisoned in case of emergency is unknown. 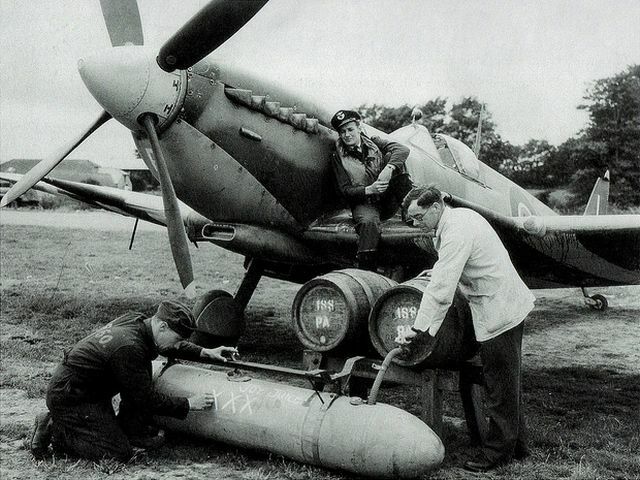 If the Spitfire flew high enough, the cold air at altitude would even refresh the beer, making it ready for consumption upon arrival. The most famous “beer pilot” was probably the British ace Johnnie E Johnson. To his big disappointment he was ordered to stop doing it. when i was a kid i remember seeing a book about jej and it had a picture of the keg on a spit plus a lot of other great snaps.